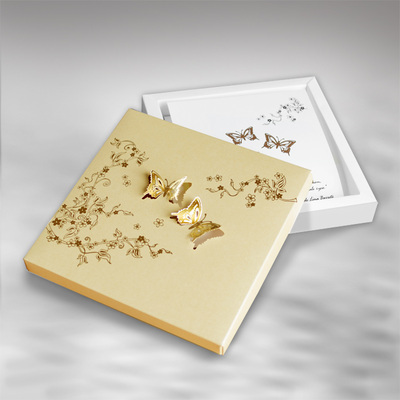 An elegant invitation in the form of a box from the newest collection. Made from ecru pearl, and white matte papers. 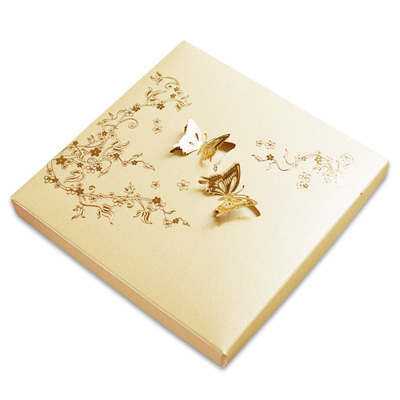 The top of the box has a gilded delicate floral ornament and butterflies. 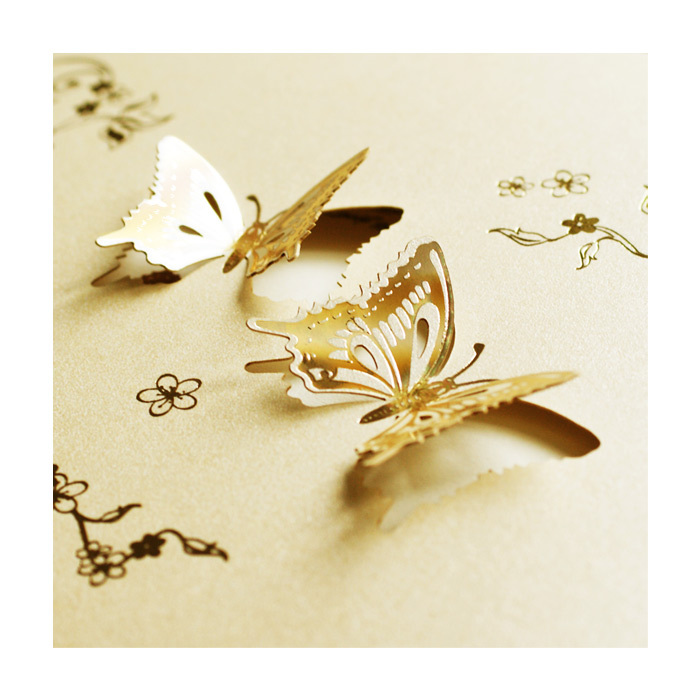 The butterflies are laser cut. 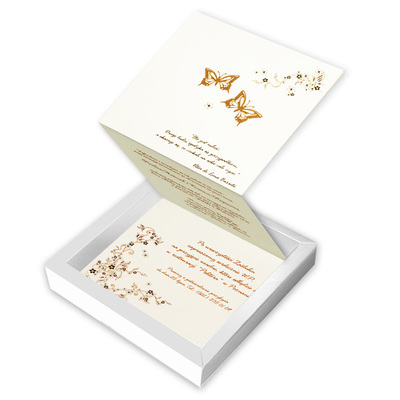 Text is printed o a matte ecru inset, which folds into three parts. The invitation is created with great care and attention to detail. Precise printing, careful execution, and high quality paper.